So, it is late at night. What left is just a dimmed light at the side of your bed. 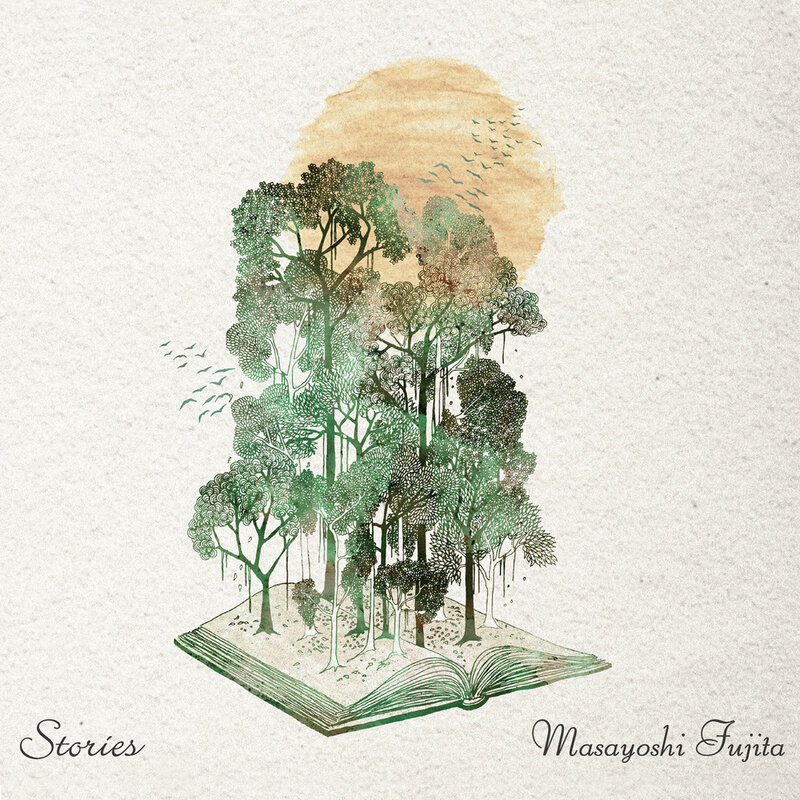 You open up a book, and then, gradually, and quietly, your thoughts started to move along, with its stories, and your “stories”…..
“Stories” is the first vibraphone solo album by Berlin-based Japanese artist Masayoshi Fujita, who also known as El Fog and a collaboration project with Jan Jelinek. This quietly exquisite album by Fujita, is like a book of illustration, painting 8 delicate pictures of small stories about the nature we are embracing….cloud, forest, river, swan and morning dews….things that we all are so familiar with, but yet so quaint. Masayoshi Fujita’s style of solo vibraphone is uniquely inspired by classic and jazz music. In this beautiful album, in additional to some gorgeous strings and bowings, he also introduced some ingenious ideas in making unique sounds, like the usage of bead and aluminum foil on his vibraphone, like a prepared instrument. As such, “Stories” is a wonderful result of the beautiful vibration (of which the name Vibraphone came from) of all the delicate sounds produced in this album. They are poetic, they are melancholic, and they are lushly emotional. Let the dimmed light continues on, and let Fujita tell you these wonderful stories. 05 Story of Waterfall I. & II. ‘Stories’ is a surprising album. It’s tranquil and mellow, the gentle chiming tones resonate in the air to create an atmosphere in which tension dissipates and the listener is transported to a calm, peaceful place without thinking..